Uncorked! tells the sometimes hidden story of alcohol. It's everywhere: advertising, sports, social events - almost anywhere people get together - but at what cost? Behind the glossy images and beyond happy hour, Uncorked! reveals the true cost of alcohol to our families, community and health - and makes some thought-provoking suggestions as to how we can live with alcohol and, perhaps, how we should live without it. 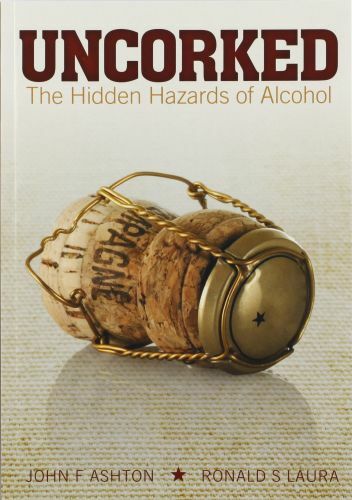 When John McKenzie found out about the release of Uncorked!, the possibilities for the book connected with an issue he had been thinking upon as it affected his local community. "I thought I could use that book and put it out in the community," he says. The issue had caught his attention in the course of his work as an engineer with the Campaspe Shire Council, based in Echuca, Victoria. "I was working late in my office, and I was invited to attend a video presentation on alcohol issues, put together by a group of local young people to be distributed to all the schools in the shire," he recalls. "But the message was mainly one of harm minimisation. The concept of total abstinence wasn't considered at all. I felt there could be something more to say." Enter Uncorked!. After obtaining a copy of Uncorked!, Mr McKenzie began to share it with colleagues. Mr McKenzie tells how, on his way to the council's Christmas function, he was impressed to go into the office of the local newspaper, the Riverine Herald. He was introduced to a reporter. "I just explained to her that I wanted to get a message across to the young people about the harmful effects of alcohol and that this book, I believed, would do it," he reports. "And I asked whether she could review it for me and put it in the paper if she thought it was worthy-and I left it with her overnight. "The next day, she asked me a few questions about my enthusiasm for the book and she said, 'This will be a good story.' So in the following Friday's paper-just before New Year's Day-it went in the paper." Mr McKenzie said he was particularly impressed by the book's suggestion of a licence for drinkers. "I wrote a memorandum on the licensing proposal to the woman in our Shire involved in contacting police and other emergency services, who meet together once or twice a year to put into effect emergency plans," he says. "It went on to the police inspector at Echuca and he wanted the book. So he's got the book and is reading it now." "It's kind of an unfinished story at the moment," he adds. According to Uncorked! co-author, Dr John Ashton, Mr McKenzie's story is one of many. "A lot of people are keen for the message to get out-to young people in particular," says Dr Ashton, strategic research manager for Sanitarium. "Part of the plan was to provide such a resource. There didn't seem to be any available source that put together the many different aspects of the alcohol problem."